Not just any old cake. No, this is an intentionally inedible cake. 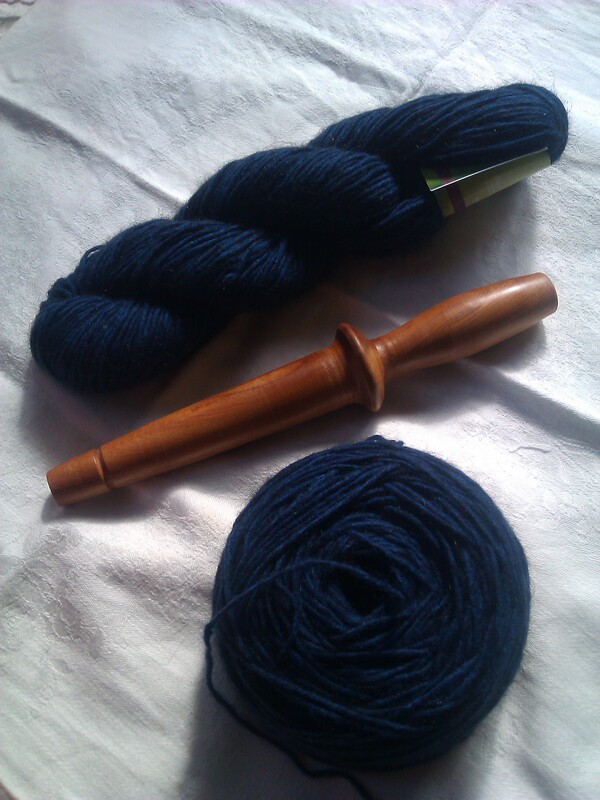 Ingredients: yarn (in this case, 75% merino and 25% possum), and a nostepinne. This is the first time I have ever made one of these, because in New Zealand, yarns are almost always sold in a balled state. I was greatly surprised when I discovered that in other parts of the world, e.g. the Americas, yarn is sold in a twisted skein, and it is the knitter’s responsibility to ball it. Of course, back in the day when knitting wool came from a sheep you knew personally, winding the skein into a ball was the natural last step before knitting it. I am just lucky that I don’t have to start each knitting project by following a sheep around to collect the wool it sheds, as with the Soay sheep – or combing the animal’s neck, as with a cashmere goat. Despite the extra work involved, I can understand why people like to buy yarn in skeins. 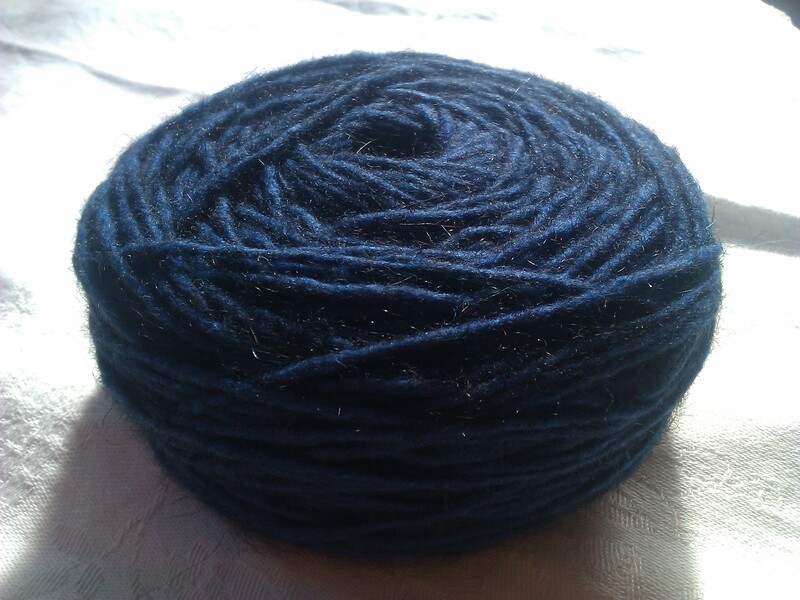 It’s certainly more visually appealing that way, and you can wind the yarn into any shape you like (e.g. A Complete Dog’s Breakfast). The benefit of cakes as opposed to balls is that cakes have flat bottoms and don’t go rolling about while you use them. Also you don’t have to fossick about in their insides trying to find the inner end, as you carefully ran it down the handle of the nostepinne when beginning the cake, so as to have it handy when you need it. Indeed, I think this humble piece of rimu is going to join my list of treasured old technologies. Yarn-caking can be very relaxing – once you’ve really got the hang of it, and don’t have to keep worrying about your cake losing shape. (MacArthur Park, anyone?) I myself have not yet attained to this height of nostepinne mastery, having only made one cake to date. I have started knitting from my cake, and while the actual knitting is proving more problematic than I thought (due to gauge issues and use of techniques at which I am not yet proficient), the cake is performing splendidly. It’s fat-free, sugar-free, suitable for sharing with people who are dairy- or gluten-intolerant, and a joy to both make and consume. What more could one ask of a humble cake?